For a reusable flannel or cloth. For as long as I can remember I’ve always used Simple Face wipes to take my make up off at night. 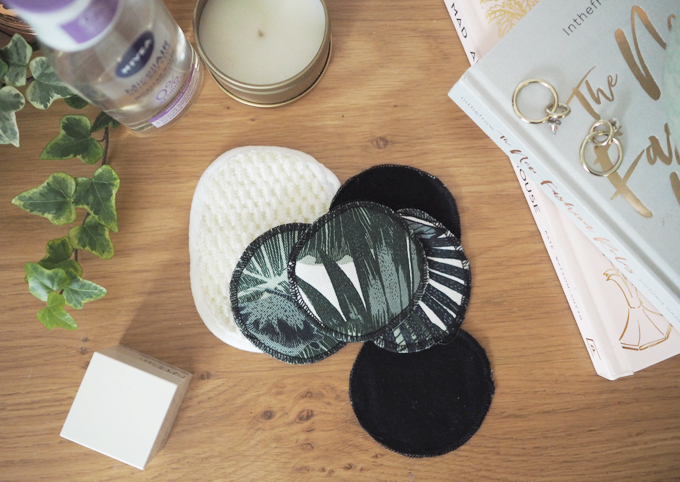 Most face wipes aren’t biodegradable meaning they end up in landfill and oceans, many contain harmful chemicals and plastics. When I thought of the thousands of face wipes I’ve thrown away over the years, I needed to make a change. I recently switched to using a flannel and face wash to take off my make up. A long term sustainable solution to replace my face wipe habit. I found the Magnitone London Wipeout cloth to be one of the best cloth to take off my make up with just water. It’s microfibres help remove dirt as fast as a facewipe would and can be washed alongside with your normal laundry. If you can’t part completely with face wipes, switch to a biodegradable option such as The Body Shop Tea Tree Cleansing wipes. These are great for on the go and are kinder to the environment. Although, like most face wipes they still come wrapped in a plastic packet. For resuable cotton pads. 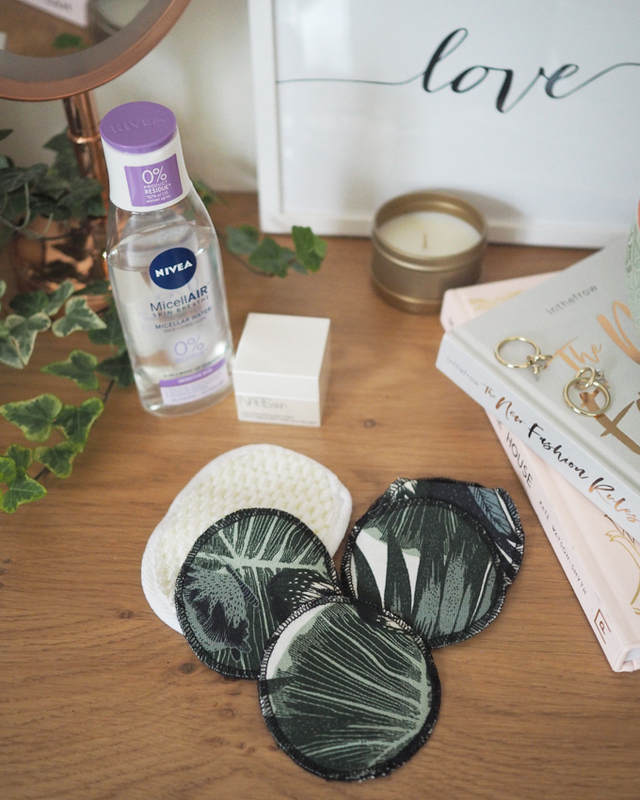 Reducing the amount of single use cotton wool pads and balls will mean you’re being kinder to the environment without clogging up landfill or our oceans. Plus you’ll save money in the long run. I switched to some handmade ones from The Zero Waste Maker recently and haven’t missed cotton pads at all. Once I’ve used them a few times I pop them in a pillow case and wash them alongside my normal laundry. Another sustainable beauty swap worth considering is choosing natural cotton buds instead of plastic ones. The small plastic bud you use once and throw away can be swapped for more eco friendly ones made from bamboo such as these from The Zero Waste Maker. 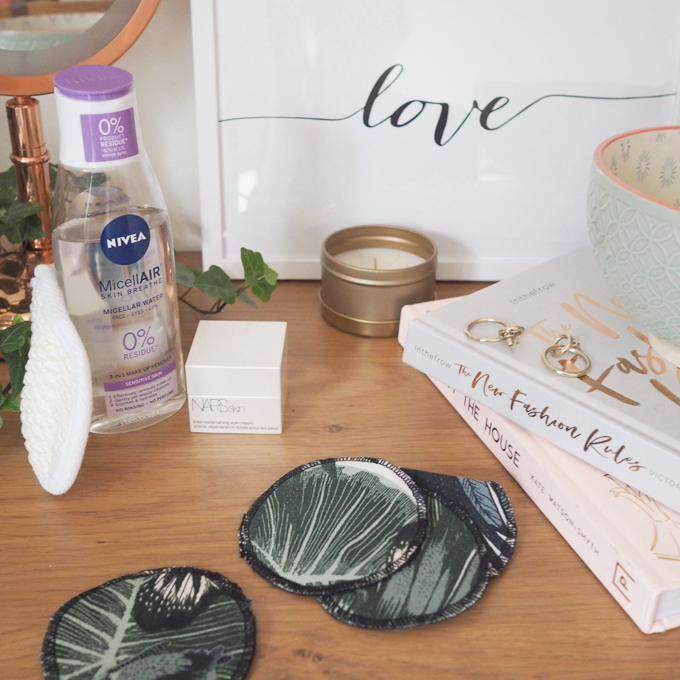 Other ways you can make your dressing table a little more eco friendly is considering choosing bars of soap over shower gels in plastic bottles, bulk buying larger packets to save plastic, and recycling packaging where you can. Remember small changes make a big difference. I’m trying to make little changes as and when I can, switching brands and buying reusable products. I’d love to hear what changes you are considering making?